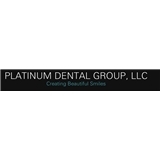 Platinum Dental Group (Bayonne) - Book Appointment Online! I highly recommend Dr Sapan Parikh to everyone who really needs a good dentist....He explains everything what is going wrong before treatment and makes you very comfortable during the process....Very friendly and light environment....And above all the way he does the process is simply OutStanding like I waz so nervous and he did everything so smooth that I didn't even know when it's done.....I am really glad I found Dr parikh....!! !